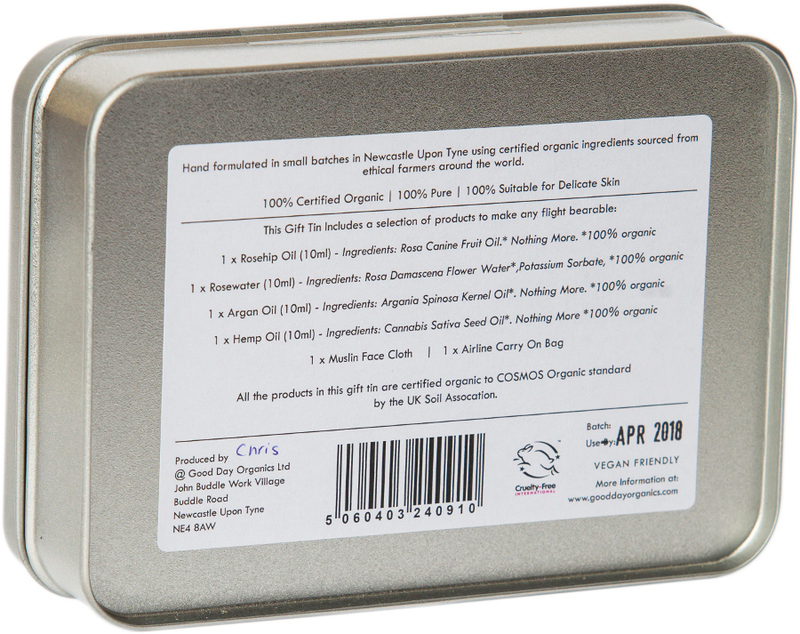 Rosehip Oil Facial Skin Care which helps to prevent water loss & improves skin elasticity, it reduces the appearance of fine lines, wrinkles & scars, and will deeply moisturise the face in a confined space. Rosewater Facial Toner which cleanses the skin pores and tightens the pores. Used as a spritz or with the face cloth to instantly refreshes the skin. Argan Oil Skin & Haircare which is specifically suited to instantly rejuvenating hair, leaving it soft, shiny and well nourished. 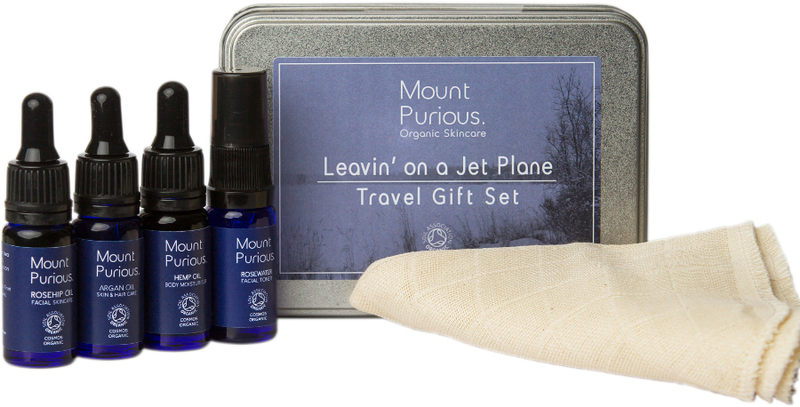 Hemp Oil Body Moisturiser which provides the skin with great nourishment & hydration and is the perfect treatment for dry skin or eczema, which can flare up in a dry atmosphere like an airplane. 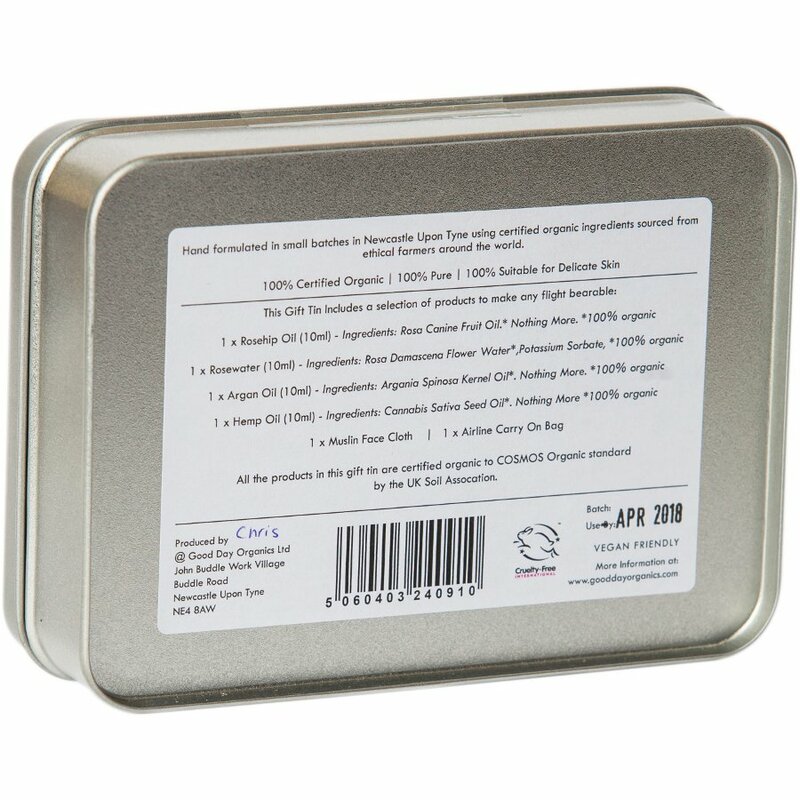 Each product has been hand formulated in Newcastle Upon Tyne, and the gift set is suitable for vegans, cruelty free and does not contain parabens, SLS or palm oil. 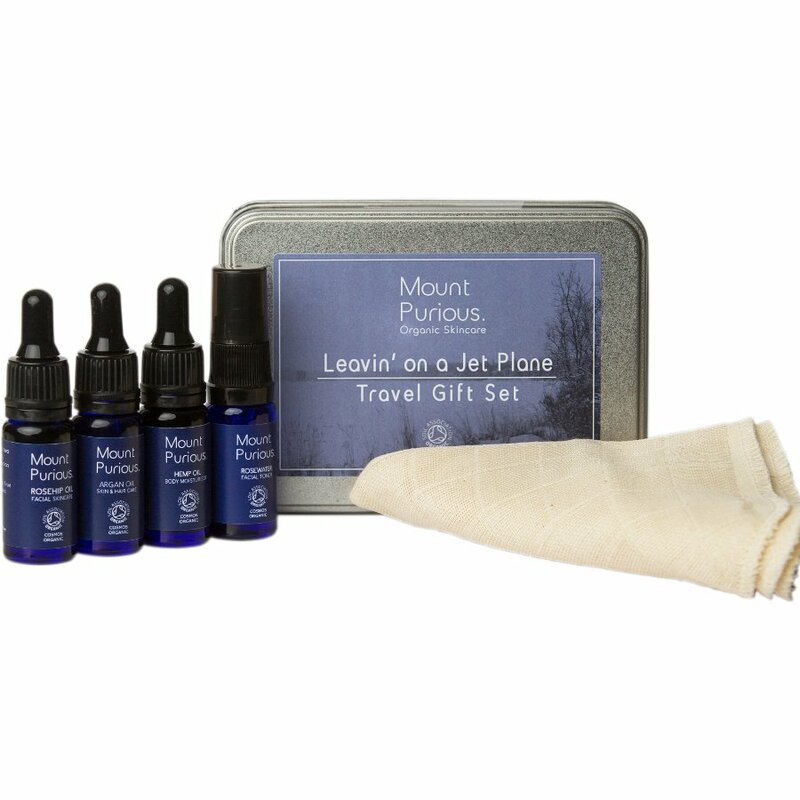 There are currently no questions to display about Mount Purious 'Leaving on a Jet Plane' Travel Gift Set.